Conclusion – Will The Behringer XR16 Work For You? 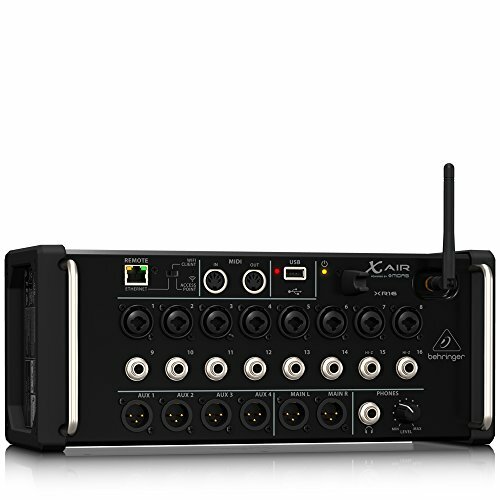 The Behringer XR16 is a very good audio mixer that can help you to get the highest-quality sound. If you are in need of a mixing board that will be easy to set up, then this is likely going to appeal to you. The big benefit of this unit is that it can connect to a tablet computer so that you can control it as easily as possible. Being able to control the audio mixing process from the tablet is something that feels more natural for many people so it is automatically going to be popular with many. This isn’t just a mixer that is using a gimmick of being able to connect with tablet computers, though. This is a fully featured product that has applications in both the studio and for live music. You will be able to meticulously adjust sound levels to get things just right. If you want any type of production to go perfectly, then owning this mixer could potentially come in handy. Behringer has a history of releasing high-quality products at reasonable prices. The XR16 is no exception and this may wind up being one of the most practical solutions to your problems. If you are putting on a show or having live music performed at a venue, then you can use this XR16 to make sure that you have audiophile-quality sound. It may take some getting used to when you are using this machine but being able to connect it to your tablet will definitely help. One of the most intriguing aspects of this product is that it has a broad appeal. You will see many different types of people making use of this mixer. It will be very useful in a studio setting for anyone who is trying to adjust audio levels to the perfect degree. If you are a musician who needs something that is a bit simpler than a very large mixing board, then this is definitely going to be something that you should look into. 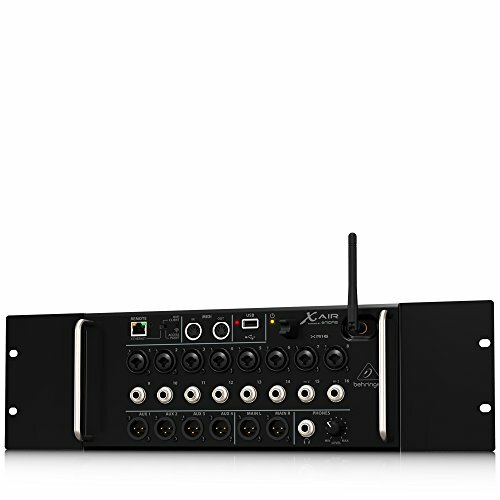 The studio applications of this mixer are very apparent but it will also work great for live music and performances. Many small venues will use this type of mixer to help adjust the audio levels before musicians perform. It is easy to get it set up and it will not have to take up a ton of space. 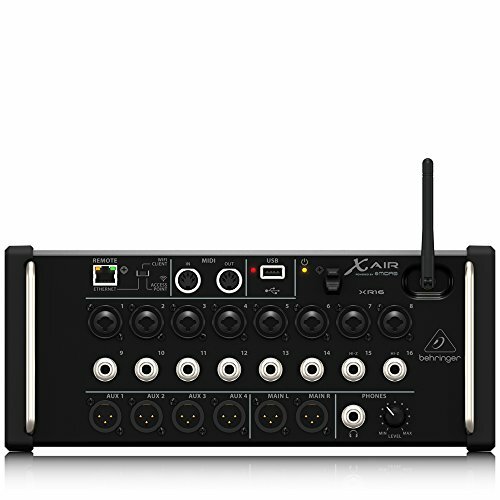 This is great when the building isn’t incredibly big as you will still be able to have great audio without the need for an overly large board. There are actually many people who use this unit for karaoke purposes as well. It is a pretty simple unit to tote around with you so it makes it easy to set up and get the sound ready. It can be more convenient than a traditional board in many ways. Many churches like to use this board too. 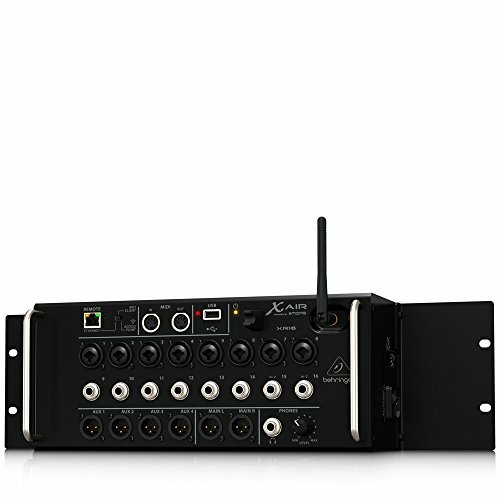 The audio mixer will help churches to adjust the sound for multiple different things. You can have it set up for your worship music and it can also help to ensure that any speakers are heard loud and clear. It won’t take long to get used to using the mixer as it is fairly user-friendly. There may be a learning period but it will not be too convoluted and you will feel everything click before too long. This is a situation where you will not be getting any extra stuff in the box. You may want to purchase a separate carrying case for this unit and some other accessories. Even when it comes to certain types of cables, you are likely going to need to buy those separately. Look into what cable you are going to need to hook this up to your preferred devices ahead of time. Of course, this can hook up through USB to your tablet or to a computer so it will depend on what you are planning on doing. 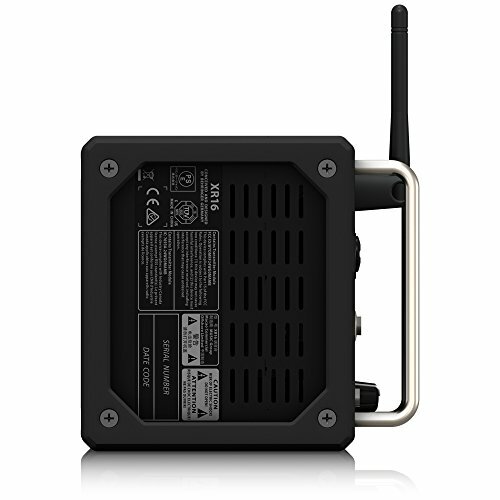 One of the most touted features of this unit is that it can easily interface with your tablet computer. This is really nice and should make it a lot simpler to make use of the mixer. Equalizing sound levels and getting the best possible sound should be a lot easier than it would otherwise be. It is going to be possible to achieve audiophile-level sound quality when you make use of this unit. You can expect eight fully programmable microphone preamps that you can make use of. 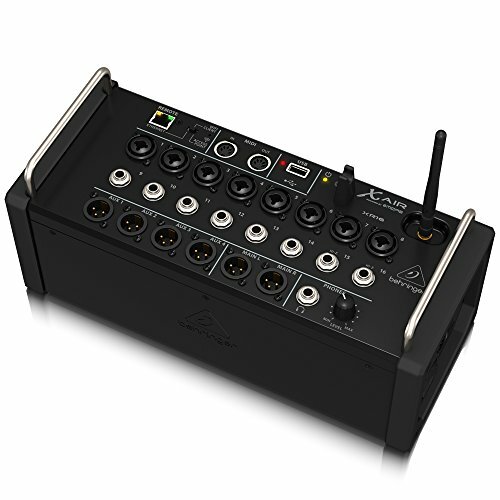 There are even auto-mixers in this unit that will help you to manage microphone gain sharing. This makes it really good for keeping sound levels perfect and mitigating any potential issues with your microphone. The ability to manage these aspects makes it a great mixer for speeches so it isn’t just useful for mixing music sound levels. It also comes with a built-in Tri-mode WiFi router for your convenience. 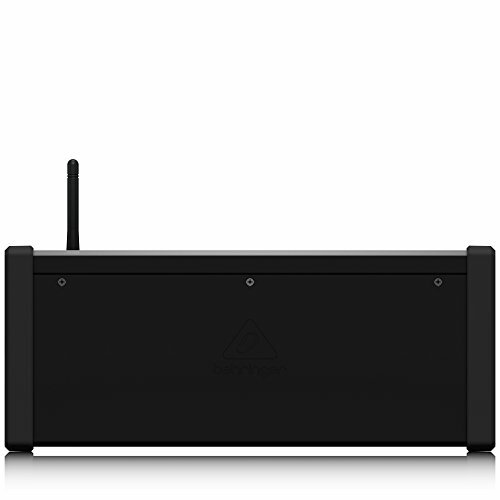 You don’t need to hook this up to an external router in order to get it to work. If you happen to lose connection to your tablet during the mixing process, the unit will retain its most current settings. The router is very reliable, though, so you should not encounter any issues. 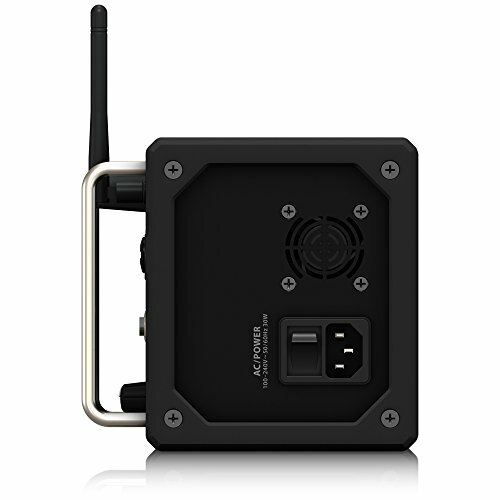 The included USB connector will also provide you with uncompressed audio playback and WAV recording. This can be very convenient when you need to play a clip of something or you are trying to record a certain part of what you are doing. This should be very simple to use once you get the hang of it so it’s a good purchase for many types of people. It may take some playing around in order to figure out certain settings, though, so there might be some initial fumbling. You may want to consider the PreSonus Studio Live AR8 as a possible alternative. 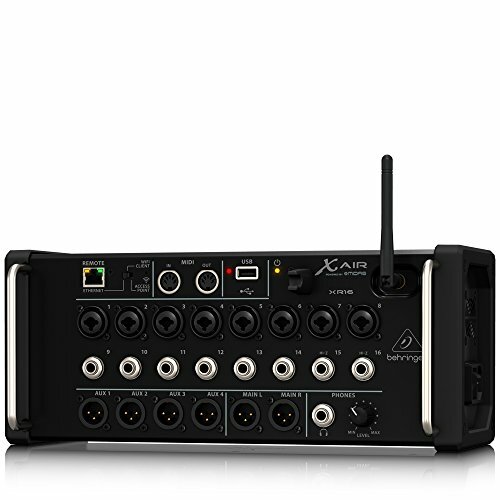 This is going to be a bit pricier than the Behringer XR16 but it is more fully featured in some regards. It also comes with a convenient carrying bag that may make it even more convenient for karaoke purposes. Both this and the XR16 are good digital mixers, though. It will just come down to what your preferences and needs are. 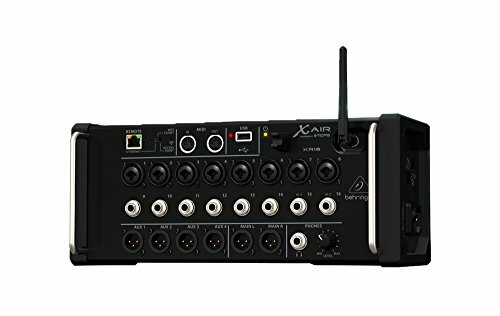 If you want a good digital mixer that is going to work for multiple purposes, then the Behringer XR16 is going to work out pretty well. It is easy to use once you get used to everything. Some people will have a tougher time figuring things out than others. If you have prior experience with audio equipment, then adjusting levels will come across as very natural. They could have done a better job of explaining things in the included literature for newcomers, though. Regardless, this is a high-quality unit that can help you to achieve audiophile sound quality. If you want to have the perfect sound levels for your live event, then this will be able to help you get the results that you want. It is fairly cost-effective and it works well. It might be just what you need for your church or for a theater group.